Well, as a start to spring 2017, we have backfilled the main dig site as a final conclusion to our fieldwork project. 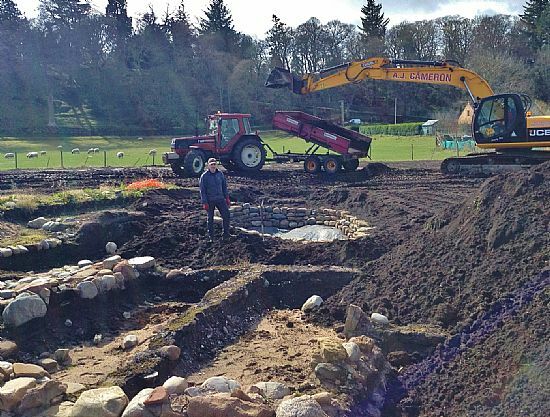 While this has come as a surprise to many of our Cromarty friends, this is the natural conclusion to any excavation site. We have spent several amazing summers digging in Cromarty and Steven and I both agree that our results have been superb and we have achieved most of what was possible from the excavation of this area. 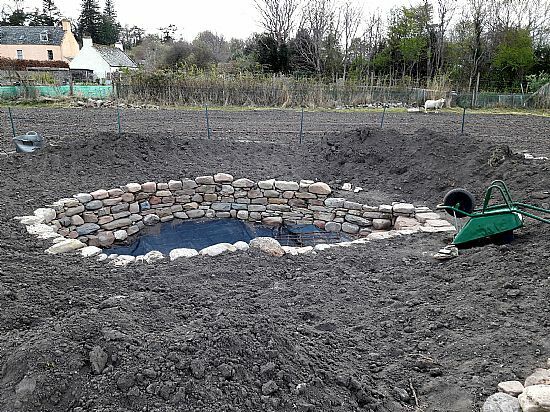 Steven has built a lovely wall around the entrance to the well, which we will enclose in a post and wire fence with interpretation to follow. All of the visitors this week have been pleased to hear that the landowner has allowed us to retain this as a feature of the shoreline walk. 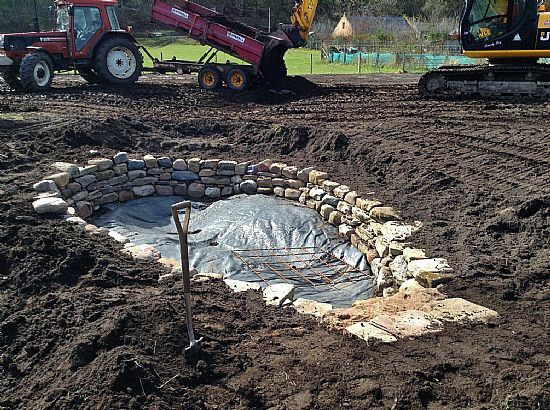 And thank you so much to Sandy Cameron for doing a fine job with the backfilling! In a nutshell, the dates support our stratigraphy, which is, of course, good. I should also say that the typological dating of the artefacts combined with the stratigraphy will enhance and complement this dataset. So, the range of dates so far has provided information about the time periods of the primary burning event and earliest occupation that took place on this site definitely happened by the 13th century. And this definitely supports the ceramic evidence. Interestingly the first date, from a sample from the kiln in the Walled Garden, could overlap with this earliest phase or could pre-date it. This date range lines up with the date (1040-1290A D) from a wooden post found in situ during the installation of the new water main on the west side of the site (during previous works undertaken by Stuart Farrell). So we clearly have a medieval settlement within the mid 11th to mid 13th century. The horse carcass deposited in the base of the well, which formed a closing event for the well, has unfortunately provided a wider date range, as early as the late 15th century up to the middle of the 17th century. However, based on the artefactual material from the ash layer covering this feature and the building on top of that, the well should date to the earliest part of this range. We are now analysing the results and the programme of post-excavation work continues!